Melissa Hyatt is an accomplished watercolor artist, surface pattern designer, and illustrator. She loves to create and paint in her sunlit North Fork studio with her golden retriever April snoozing by her side. Melissa’s talent came in part from her two grandmothers, both artists who taught her to value the importance of creativity. Inspired by their artistry and commitment, Melissa graduated from Syracuse University with a degree in surface pattern design. Melissa’s design skills were then honed in her work a design director for Waverly Fabrics, and she has worked in textiles as an artist, color consultant, and stylist for over twenty years. In 2015, Melissa launched her own brand. Her art has been seen on, bedding and dinnerware for Martha Stewart, fabrics for Waverly Fabrics, Schumacher, Home Accent Fabrics, and Belle Maison, bedding for Westpoint Home, home decor a for Pier One Imports and wallpaper for Brewster Wallcoverings. She has designed logos for Northforkin’ and artwork for album covers at Atlantic Records. 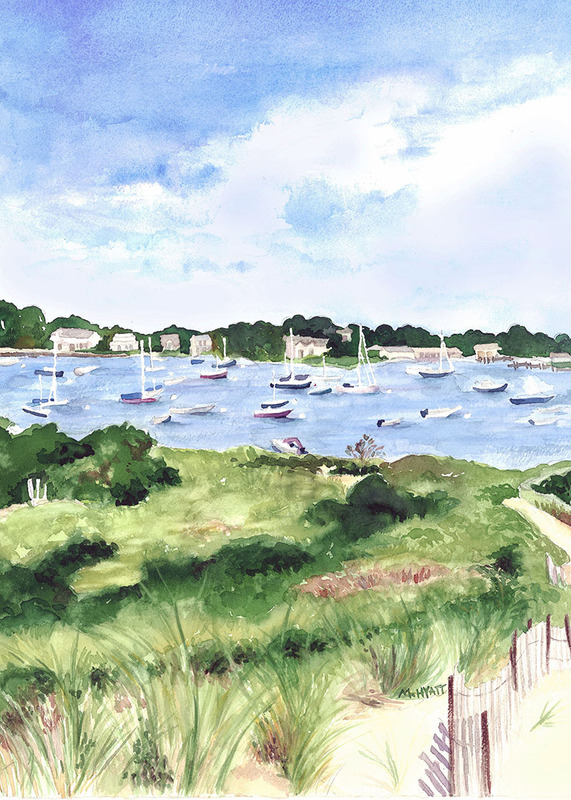 Melissa has been invited to host pop up shops at West Elm and Pottery Barn, and in her spare time she teaches watercolor classes in the North East. Her designs are licensed with Calypso Cards and Cold Water Creek, there are more exciting collaborations in the works. Interested in displaying Melissa's art at your shop, restaurant or gallery? Want to see her work in your favorite shop, or do you own a store and want to become a stockist? Click here to contact Melissa.